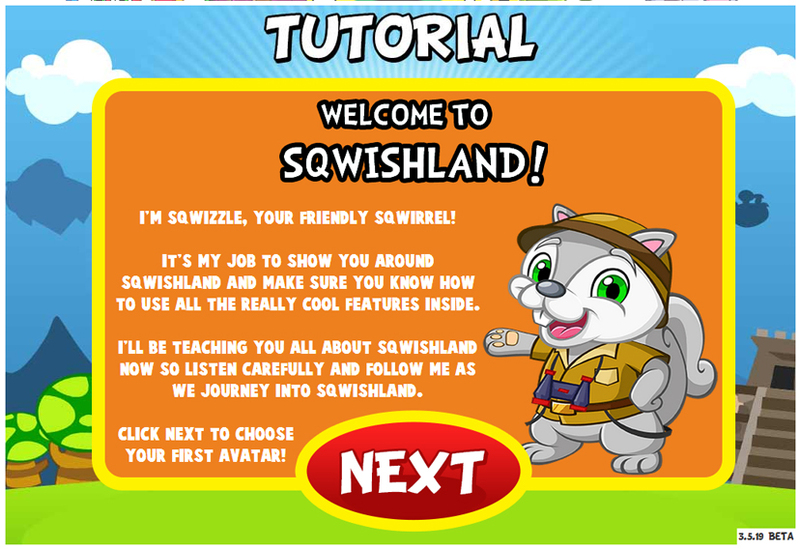 The first time you log in with your newly registered SqwishLand username and password, you’ll be welcomed by Sqwizzle the Sqwirrel – SqwishLand’s official tour guide! Sqwizzle will walk you through getting started on your adventure – from creating your first SqwAvatar, to teaching you how to move around, and discovering unique items and areas in the game. Just pay attention and carefully follow Sqwizzle’s instructions and you’ll be a pro in no time!